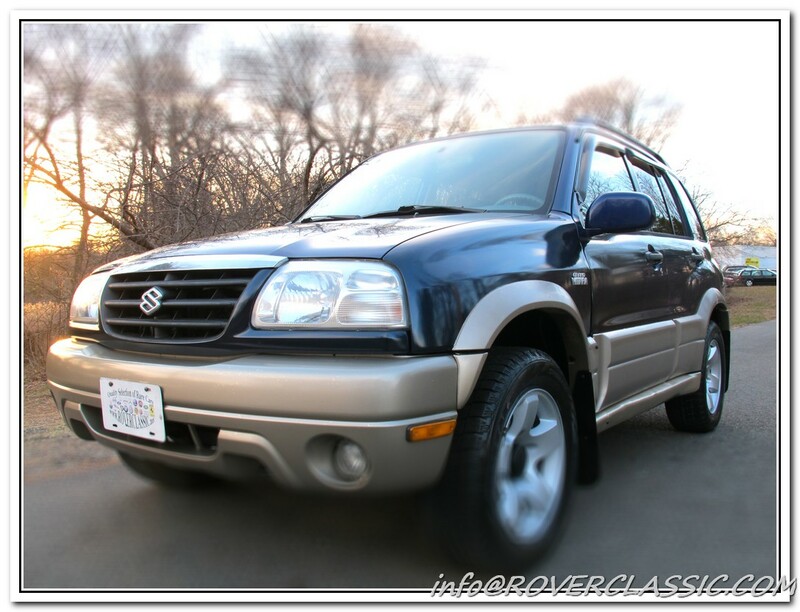 2001 SUZUKI GRAND VITARA LIMITED 4X4 ... 85,190 Original Miles Engine : 6 Cyl, 2.5L Transmission : Auto Exterior : Blue Interior : Gray Body Style : SUV Vin : JS3TD62V414162934 This Suzuki has Automatic Transmission, Remote starter, Air bags, ABS Power Brakes, Leather seats, Power windows, Power door locks, Power mirrors, Cruise control, CD / Tape / AM / FM, Power Sunroof and Air Conditioning. Tires have at least 60 % thread left. The paint looks original with absolutely no rust anywhere on the car. Our mechanics performed full service on this beauty. They have replaced oil and filter, replaced rotors, calipers, drums, brake cylinders, brake shoes and brake pads. This car recently received new fuel pump as well as new power steering rack.